If you want to find just how much our qualified end of tenancy service will cost you, contact the day-to-day client care. It is possible to do that by dialling 020 3404 0500 or by using the online contact form. Excellent Carpet Cleaning is a professional post tenancy cleaning company which has successfully offered the people and organizations of Cambridge Heath E2 since 2005. Over the years, we have specialized in delivering expert move in and out cleaning services for everyone local residents. This unique service is useful for: renters, agencies, property owners as well as for people who are buying or selling a property or home - commercial or private. 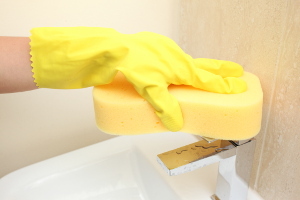 We have developed a full end of tenancy cleaning register which is strictly followed by our specialists. This checklist has been accepted by a multitude of regional landlords, property managers and estate agencies as what they truly hope from the cleaning at the finish of your tenancy contract, so that they usually do not keep back part or all of your lease deposit for further cleaning charges. We have hand-picked each one of our cleaners, background checked them for police records and have qualified them to work with our contemporary qualified cleaning machines, methods and Prochem certified treatments. All our end of tenancy cleaning consumers get a forty eight hr assure, so when there is a issue, we will come back and clean the property again for free! Our crew of specialists will come at your property or home with the specific cleaning register of all objects and locations which your landlord or property manager will be looking at before giving their bond back. This service has no time period, and the staff of qualified cleaners will remain and clean until finally all items are checked out as done. The FORTY EIGHT hr satisfaction guarantee we provide means that in case you or your landlord aren't pleased with our work, we will revisit and clean up once again totally free! If you purchase a package of a couple or more of our services, we will award you with really attractive discount rates. This will help you save time, money and energy over the strenuous procedure of moving out. If you need assist moving out and ensuring that you are certain to get your lease deposit back in 100 %, do not wait to book our professional end of tenancy cleaning service or a mix of the services we provide. Reserving our tenancy cleaning service will only take a couple of mins. Possibly contact 020 3404 0500 or send us an online request here. Our customer care staff are there for you day to day, so you will be receiving written confirmation quickly. You don't need to make an advance transaction for booking, and we can not ask you to pay any hidden charges once we are finished with the cleaning. Our prices are fixed and clear. You can receive a large discounted price from the costs of our services, by reservation 2 or more of them simultaneously. Also, when you book our service quick on in time, if you are a standard customer or a owner or real estate agency, we will provide you our exclusive advantageous rates for the services. Do not hesitate to reserve our top quality assured, expert tenancy cleaning service right now!